No drink can bring the same energy to a crowd of people like a Margarita. The bright and balanced drink hits all the right levels of sweet, sour, salty, and boozy. It’s the most-loved cocktail in the US, according to a Nielsen survey, and it has been since Nielsen started polling bargoers on cocktails in 2016. The Margarita has, in nearly every metric, taken over America. It’s also been bastardized beyond belief. A classic Margarita is made with two ounces of blanco tequila, one and a half ounces of fresh squeezed lime juice, and one ounce of triple sec. The lime and triple sec fend off any bite from the tequila while the 100-percent agave spirit provides herbaceous notes and just enough of a kick. But that’s only when it’s done right. Tacky restaurants, enterprising chains, and cheap bars often cut costs on America’s favorite cocktail. 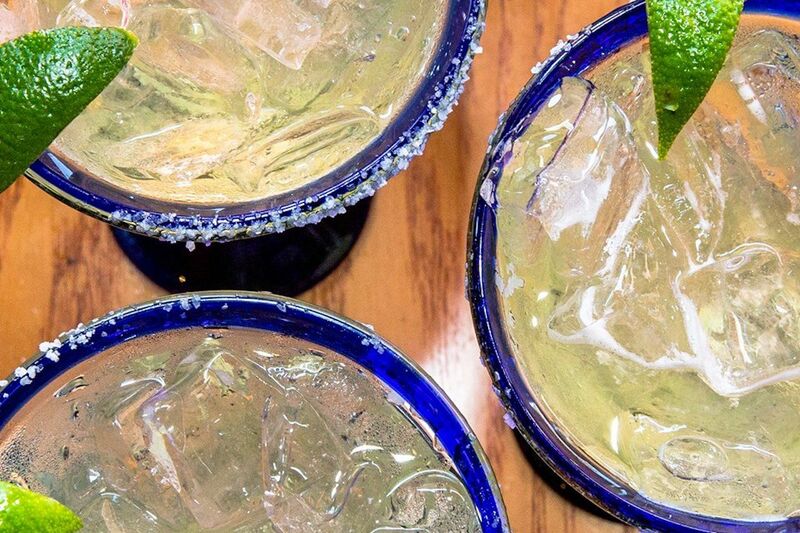 The Margarita is just as much the most abused cocktail in America as it is the most loved. This rise to popularity and fall from balanced grace didn’t happen overnight. The history of the Margarita is as hazy as your mind after too many Margaritas. Depending on who you ask or believe, the cocktail was invented in the 1930s, the 1940s, or doesn’t have a creation date because it’s simply a twist on a classic cocktail that’s far older. One of the earliest claims is from restaurant owner Carlos Herrera, who invented a drink in 1938 for the German showgirl Marjorie King. King claimed to be allergic to every alcohol except for tequila, which can’t possibly be true but is a great way to score tequila drinks. King didn’t, however, do straight tequila shots. Herrera supposedly took the basics of a tequila shot and turned it into a cocktail: The salt chaser was put on the rim, and the bite of lime added straight into the spirit. Actress Rita Hayworth says otherwise in another popular origin story. Hayworth’s non-stage name was Margarita Cansino, and she says the drink was invented for her in the 1940s by a bartender in Tijuana. While Tijuana is the best food and drink city along the border, it’s not likely where the Margarita is from. Then there’s singer Peggy Lee, who said the drink was first made for her in Galveston, Texas. Herrera, Hayworth, and Lee aren’t the only ones claiming the drink. Texas socialite Margaret Sames also claims to have mixed the first Margarita during a house party at her Acapulco vacation spot in 1948. Tommy Hilton (yes, that Hilton) was at the party, and he loved the drink so much, so the story goes, that he started serving it at the bars his hotels. The most credible origin of the drink has nothing to do with famous actresses, singers, or brands. The Margarita most likely comes from another cocktail called the Daisy. The Daisy is a type of sour made with liquor, sugar syrup, and citrus and a topping of soda water. Somewhere along the line the spirit was switched to something native to Mexico (tequila) and the name was switched to Spanish (Margarita means daisy). The soda was dropped along the way, and orange liqueur replaced sugar simple syrup. There you have it: a modern Margarita. The Margarita started popping up more and more in the 1950s as tequila brands like Jose Cuervo solidified their position in the country’s still-new Mexican restaurants. The drink didn’t really take off, however, until the invention of the machine that also killed it. A lot of bad things have been done to the Margarita. Cheap ingredients are commonly swapped in for anything of substance, let alone quality. Sour mix is dumped from plastic bottles, and mixto tequila from the bottom shelf is thrown in rather than a 100-percent agave tequila that respects the spirit. Few things have done more to harm the modern Margarita while simultaneously making it more popular than ever, though, than the frozen Margarita. Unlike the classic — and balanced — cocktail, the frozen Margarita has a concrete origin story. Every frozen Marg served from Tours to Tallahassee has its roots in Dallas, Texas. In 1971, Mariano Martinez opened Mariano’s Hacienda in East Dallas. He served classic Tex-Mex food and dished out Margaritas to wash it all down. The latter was so popular that his bartenders had a hard time keeping up with demand in a consistent manner. Something had to change, and that change hit Martinez while he was at a 7-Eleven staring down a Slurpee machine. According to legend, Martinez and his friend, Frank Adams, purchased an old soft-serve ice cream machine and adjusted its settings until it could churn out the perfect frozen Margarita. It was an instant hit, and copies quickly followed. Mariano’s is still open today. To see the original frozen Margarita machine, however, you’ll have to go to the Smithsonian National Museum of American History, which keeps the original machine for posterity and proof to future generations that we have a frozen Margarita problem. The frozen Margarita was far from the first offering of the cocktail, but it was the one that catapulted it onto the national stage. In 1975, Chili’s Grill & Bar opened in Dallas. The opening menu had burgers, tacos, and frozen Margs. Over time, the Margs became just as much a staple of Chili’s as the brand’s sizzling fajitas. Franchises opened across the country to the now 1,600-plus locations, bringing the signature Chili’s Margarita menu along wherever it went. On that menu, you can see what went wrong with America’s favorite cocktail. In 1994, Chili’s debuted the Presidente Margarita. It’s the flagship Margarita at a place that is very much focused on its Margarita selection (there are more than 10 Margs at any one time on a Chili’s menu). It’s made with tequila, orange liqueur, brandy, and Chili’s proprietary sweet and sour mix. It’s shaken by hand 25 times and poured into a glass that’s too small to hold it, so the extra is left in the blue plastic shaker on your table. There are lots of cheap versions of the Margarita out there, but nowhere has had quite as large an impact on spreading mediocre Margs as Chili’s has — and I feel confident saying that as someone who has tried every version on the menu (no really, every single one). The shadow of Margarita’s dark days still hang around, but things are starting to look up. All is not lost for the Margarita. Two factors are bringing the drink back to its rightful place among the classics: the rise of better cocktails in general and the increase in the amount of premium tequila on the US market. The amount of tequila Americans drink every year grows around six percent, according to the Distilled Spirits Council, while the increase of super and high-end premium tequilas rose, respectively, 700 and 292 percent since 2002. It’s safe to say that none of that growth would have been possible without the popularity of the Margarita driving people’s interest in the tequila category as a whole. There are still plenty of bad Margaritas to be found out there. You probably don’t have to look farther than your town’s most popular chain restaurant. There are also, however, so many good Margaritas now. The rise of the farm-to-table movement and the push for quality cocktail bars in the US prompted an increase of places using fresh, quality ingredients. In other words, all the new high-end tequilas aren’t being wasted when a customer decides they want it in a cocktail. 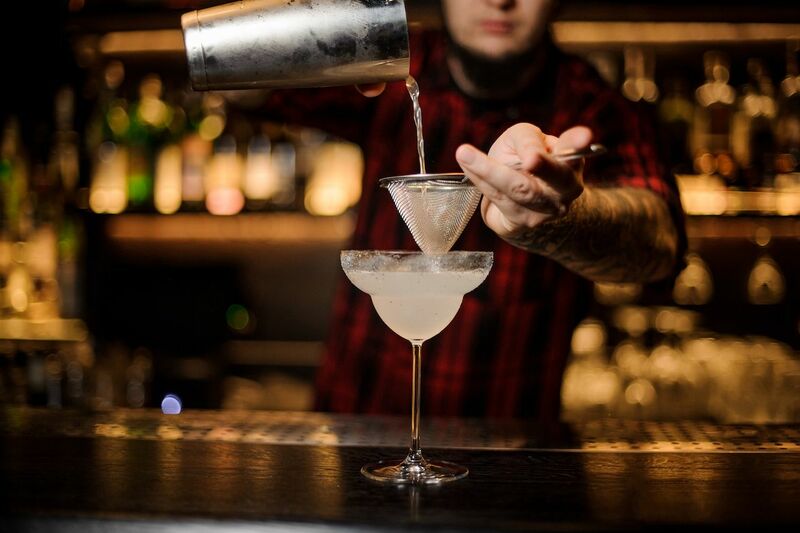 Along with the ingredients, bartenders are making riffs on the drink that keep the balance. Many prefer Tommy’s Margarita, which uses agave nectar instead of triple sec. Others are embracing mezcal as the spirit becomes more popular. Some, like La Rue, are doing both with a Tommy’s-style Margarita made with a half ounce of agave, three-quarters of an ounce of lime juice, one ounce of blanco tequila, and one ounce of mezcal. A classic that seems unwilling to give up the crown as America’s most loved — and most mishandled — cocktail. More like this: The best margaritas in the world are in Santa Fe, NM. Here’s proof.